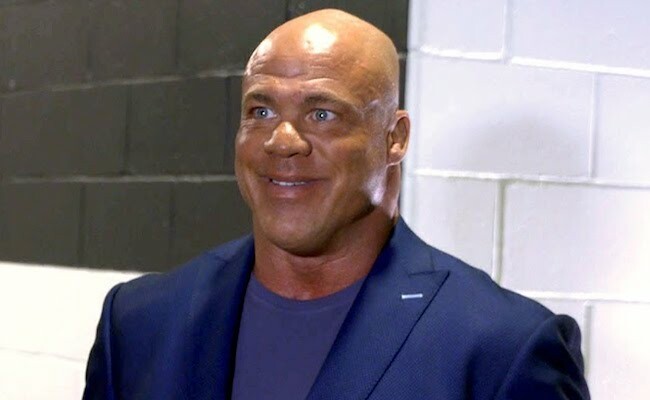 With speculation continuing to grow about who Kurt Angle will face at WrestleMania 35, the WWE Hall Of Famer has accepted a challenge from a former ally. Angle announced on last weeks WWE Raw that he would be having his retirement match at WrestleMania 35 and this led to many different wrestlers staking their claim to compete against the Olympic Gold medalist. Former Team Angle member, Shelton Benjamin tweeted about how he would like to face Angle at WrestleMania in what he claimed would be a classic, and Angle responded by accepting his challenge. Of course, this doesn’t mean that Angle will actually face Benjamin at ‘Mania, but that will be revealed tonight on WWE Raw.